Amazing comfort and unsurpassed durability from the first step to the millionth! The KEEN Durand Mid WP hiking boots for men are crafted of KEEN PU and dual compound rubber outsole. They deliver durable, dependable longevity for the long haul. PU resists breakdown and compression, while preserving its shock-absorbing qualities no matter how many miles you put on them, keeping you comfortable while hiking. Feet stay dry and comfortable thanks to the KEEN.Dry waterproof, breathable membrane. 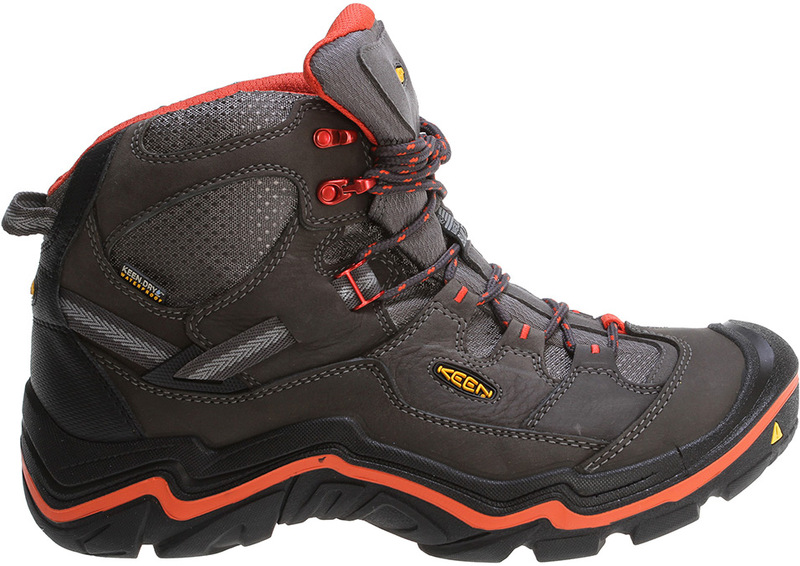 This men’s waterproof hiker is American Built in KEEN’s Portland, Oregon, factory.